Wedding is always special for a bride as she enters in her new life. The first thing that comes to a bride’s mind is her wedding dress. 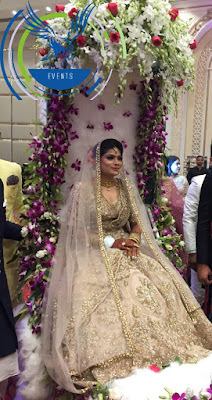 Wearing a perfect bridal outfit on her big day is something that every bride dreams about even before the wedding is finalized and sometimes right from the childhood. Finding an outfit to wear on a day that you have fantasized from your entire life is not an easy task. Manish Malhotra or Sabyasachi’s lineup but they are way too expensive, don’t worry!! Take a printout and head towards this market. You can get the replica of any designer ethnic clothing at unbelievably low price. Plan your visit and enjoy shopping . This market is the second most popular and favorite place when it comes to wedding shopping. Store after store, this market is packed with numerous bridal stores featuring trendy clothes, ethnic wear, fashion accessories and bridal wear. From mid-to-high-end designer stores this place offers the best & latest in bridal wear. Best shops to go for your shopping are Chhabra 555, Meena Bazaar and Frontier Bazaar, Karol Bagh Saree House, Dayal’s Satya Paul, etc. Don’t forget to pay a visit here. It is a well-known market honoured as New Delhi’s fashion destination. If you are looking for a dress that is neither too expensive nor too cheap, this place hosts a number of stores that offers mind blowing bridal wears. This place is marked by many stores like Roop Saris, Frontier Raas, Nalli Silk Saris where you will find an elaborate range of lehengas & Saris. For designer wear, one can move to AZA and Samsaara, which are multi designer store. You probably want to check this place out! This South Delhi market is famous not only for it’s hippie and free-spirited crowd but also homes several designer boutique outlets. The market has wonderful lanes & pathways that are flecked by a number of boutique outlets and a bunch of coffee houses to take breaks & relax before you start that “dream lehenga” again. 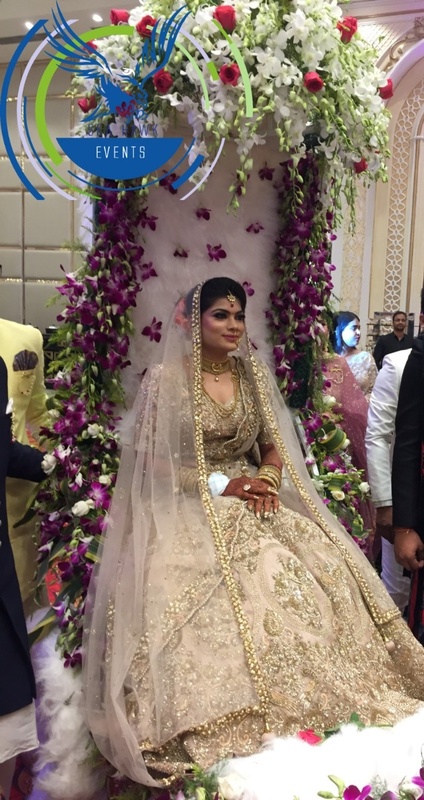 The most famous bridal wear shops and outlets include Ole Conture and Ogaan besides a Ritu Beri or Manish Malhotra designer wear is still too expensive for you. This place includes a number of independent designers, who apparently have some fantastic bridal wear for you. This place is renowned for it’s upcoming designer boutiques featuring contemporary and stylish clothes, ethnic wear, bridal wear, and fashion accessories. This place is beyond doubt the topmost fashion hotspots of the city which houses some of the best designer studios. The best part about this market is that you can get the apparel customized to your liking . One can find many renowned designers like Bhumika Grover, Preeti S Kapoor, Joy Mitra, Sahiba Priyam Narayan, Alka Nath, Rema Kumar, Vaasvi by Akshay Wadhwa, Liz Paul, Monika & Nidhi, House of Ombre, Kaira etc.